After eight whole days of CBB madness, the first eviction is finally upon us. 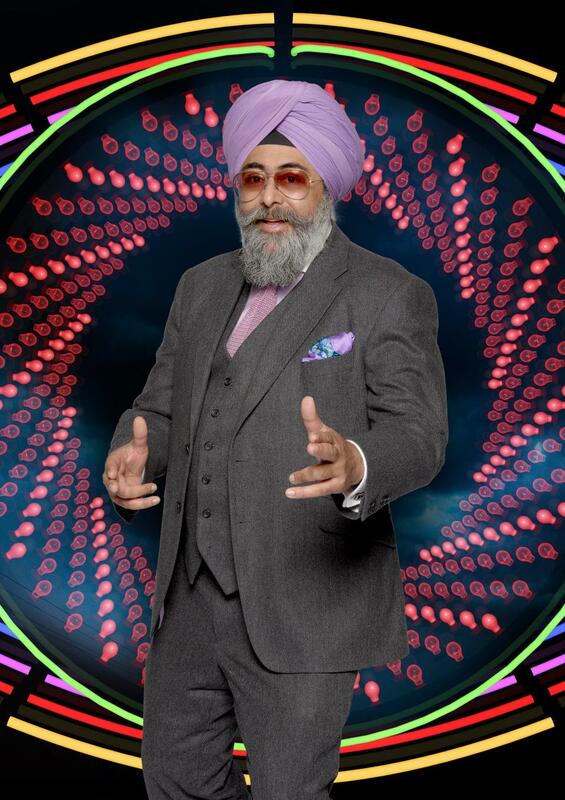 American reality villain Natalie Nunn takes on TV presenter/comedian/lawyer/father Hardeep Singh Kohli, from Scotland. It's a classic Big Brother head-to-head, just like they almost always used to have in the days when the show was on Channel 4. Unsurprisingly, the two housemates up for eviction are ones who have made a lot of impact in the house during the first week. Let's take a look at them both individually. Natalie has been the talk of the show ever since the Stormy Daniels stuff died down. The last few highlights shows have been dominated by her arguments with just about anyone and everyone in the house. These range from shouting at Hardeep for cooking the food, calling out Gabby for apparently fading into the background and yelling at Chloe for not being a 'real celebrity'. Pot. Kettle. Black. When Gabby stood up to her in the bathroom, Natalie decided to pull out the race card and declare that the reason they perceived her as aggressive is because she is a black woman. Natalie scored the most nominations from her housemates and, judging from all the vicious comments directed at her online, seems as unpopular outside the house as she is within it. One look at the #CBB hashtag on Twitter and you can see just how much she is hated. Natalie is mentioned all the time on Twitter, but well over 50% of the tweets are negative. The question is, how many of these people are going to pick up the phone to save Hardeep, in order to evict her? Hardeep caused a bit of a stir in the first weekend with his snoring and some antics which were deemed as 'creepy'. Since then, we haven't seen a great deal of him, as Natalie has taken over the show. He received some sympathy from the viewers after she verbally attacked him over the shopping list. From what we've seen of him so far, he seems a nice enough guy, but not somebody who anyone has a strong opinion on either way. This first eviction therefore seems to be a straight up referendum on Natalie. In addition to the demographics of the housemates (young American female vs older British [Scottish] Indian male), we also have to consider those of the public who will be voting. Traditionally on Big Brother, the main voting audience is considered to be females aged 40-60 from typically working class households. Are these women more likely to be in favour of Natalie or against her? I am betting - literally - that they will predominantly want her out. Looking at social media, Natalie fans appear to be young girls and gay guys, two groups which aren't particularly known to pick up the phone and vote on this show. They are shouting very loudly online about how Natalie must be kept in for 'entertainment' purposes. A fair bit of Natalie's support also seems to come from the US and abroad, but you can't vote unless you're in the UK. A single vote costs 50p + network charges, so it doesn't come cheap. Natalie didn't react well to being nominated. She was arrogant and implied that she would easily survive two evictions. She is inauthentic, insufferable and uncomfortable to watch. She is not entertaining or amusing like some previous villains such as; Kim Woodburn, Stephen Bear and Helen Wood. She is one dimensional. If she has any sense of vulnerability, she hasn't shown it. In a nutshell, she is so bad she is offensive. The show would be better off without her, especially now there are hints of showmances between Jermaine and Chloe and Dan and Gabby. Natalie has reached the end of her narrative arc. What else is she going to do, other than carry on shouting at people? We've seen it all now. I have no doubt that Natalie is vastly more disliked than Hardeep. However, it all comes down to who will be picking up the phone this evening. Is there more motivation for viewers to keep Natalie in the name of 'entertainment', or boot her out because she is so repulsive? Will viewers realise that all they have to do to get rid of Natalie is to save Hardeep? The market is split almost down the middle on this one, with Hardeep the slight favourite to go at 1.94. Natalie was last matched at 2.04, so it would be no surprise as far as the market is concerned if we saw the back of either of them tonight. As with any Big Brother live show, it's very important to listen carefully to what is in Emma Willis' script. If she states that the vote is close, then we have to believe her as legally they are not allowed to lie about that. If there's no mention of the voting then we can usually assume that someone is too far ahead to be caught. The market often reacts to this type of information, as it does to the crowd reaction. Would you really bet on them not chanting "Get Natalie out!" loudly tonight? I'm fully expecting that to happen, alongside more boos from the angry mob for Natalie than for Hardeep. If so, expect Natalie to shorten in the eviction market. It's an unusually close first eviction, but I would make Natalie the firm favourite to go. Some people say that she would have a higher chance of being evicted if it happened to be vote-to-evict. However, a two way vote-to-save is essentially exactly the same as a vote-to-evict. I'm not going to underestimate the audience in this case, whom I think will realise this and subsequently give Natalie her marching orders tonight. Who do you think is more in danger in this first eviction? Do you think people have had enough of Natalie, or should she be kept in longer for the drama? Feel free to add a comment below.